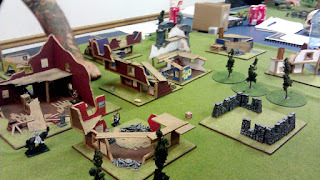 As if I don't have enough new games on my plate, I was recently roped into Mordheim. 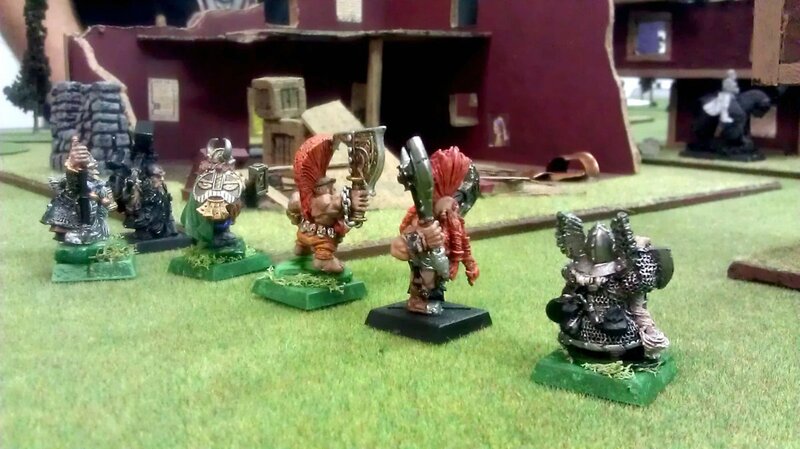 Not really having the time or desire to paint up a whole new set of figures for my warband, I decided to play the Dwarf Treasure Hunters. I pulled out a few choice (and mostly painted) dudes from my Fantasy army and I was ready to rock and roll. Not everyone is totally painted, but that's a WIP army for you. I'm plugging away at them. Hubs painted up a whole mess of terrain for the game this week and we all got together at the local game store and played for a few hours. We played three games each, one game against everyone. It started out so well, just heading on it, no idea what I was doing (we learned as we went along). It went a little downhill after the initial battle. Eventually, I lost one of my clansmen and my Noble took a serious wound- a leg wound so severe that he gets a -1 modifier to his movement. That means he's movement 2 now. He wasn't slow enough before, apparently. This last combat didn't end so well. There were too many ghouls and zombies (and they overran me). 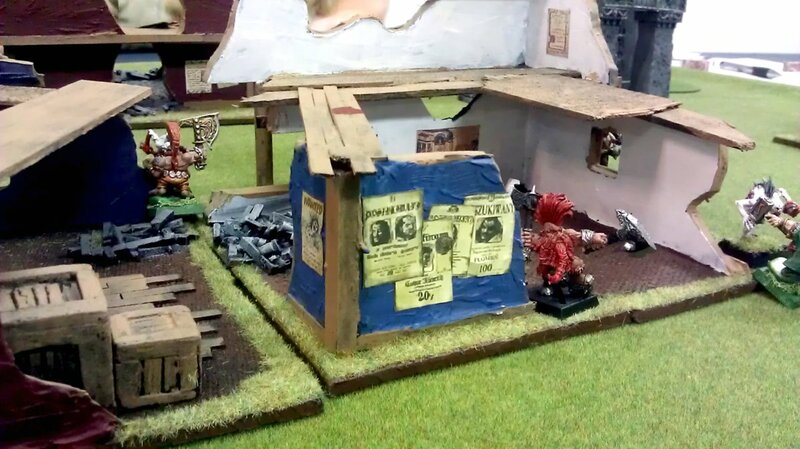 Apparently zombies are too much for my Dwarfs. Who'd have thought? I found a well while exploring, and thankfully my Engineer didn't fall into it and die. That would have been sad. I have much more of a stake in them staying alive when they cost me a lot of gold to replace. 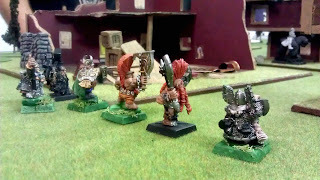 I love getting a bonus wyrdstone just because Dwarfs are awesome miners. We were all learning/relearning the game, so it was very casual and fun. I'm looking forward to buying some upgrades for my army (like giving my Engineer a real gun and replacing that dead Clansmen). The RPG campaign style is really fun, I am looking forward to continuing to gain experience with these guys. I always loved Mordhiem and Necromunda. It is a shame GW no longer supports either. I always wanted a Sister of Sigmar warband. Warrior Nuns FTW! Mantic just did a Kickstarter for their Avatars of War game and the sculpts they're doing include some Battle Sister figures I'm hoping convert into a Mordheim band. I haven't seen the models yet, just some concept art, but I'm really looking forward to getting them. I love mordheim and Necromunda, wish GW would support them more. I always wanted a Sister of Sigmar waband, Battle NUNS! FTW!